I just got these spikes in and I'M OBSESSED. I love bright colors, neon colors, femme colors, but I think my favorite will always be that everything black look with spikes and studs. My closet is full of black clothing and a lot of my shoes and shirts have spikes and studs on it. To buy the studs click here. To buy the spikes click here. And don't forget to use my code GYL91 for 10% off! 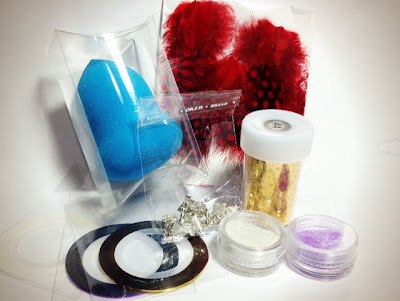 I get asked where I get my nail art supplies all the time and the answer is BornPrettyStore. After the matte top coat dried I applied nail art glue on my nail then I used tweezers to pick up the studs from the base to place them on my nail. 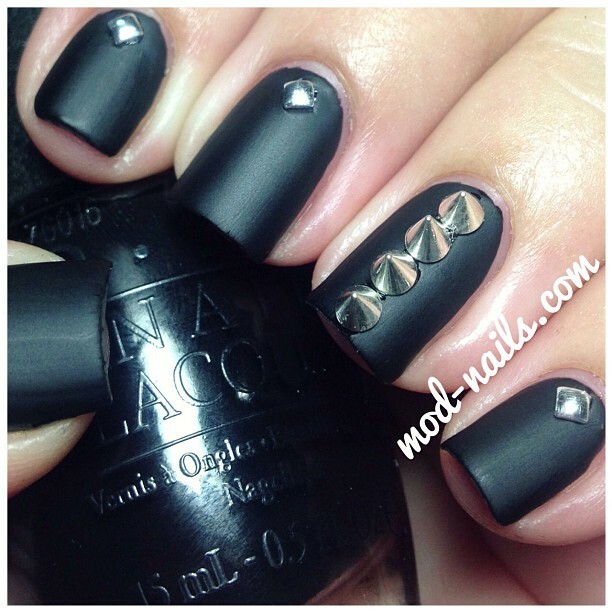 I love matte nails and these spikes are just the right size. I've seen bigger ones but I like them small. I have so many ideas for looks with spikes so sorry in advance! I decided to go with something simple, fast, but still cute for the summer. I'm obsessed with Essie's "Peach Daiquiri." Such a pretty summer pink and it reminds me of strawberry sorbet ice cream. Plus the white gives it a summer look in my opinion and of course I had to add black since it's my favorite color. 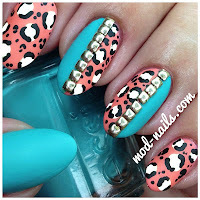 Leopard tutorial on my youtube! And I like using toothpicks for the half circles around my leopard spots and acrylic paint since it's a lot easier to paint with. 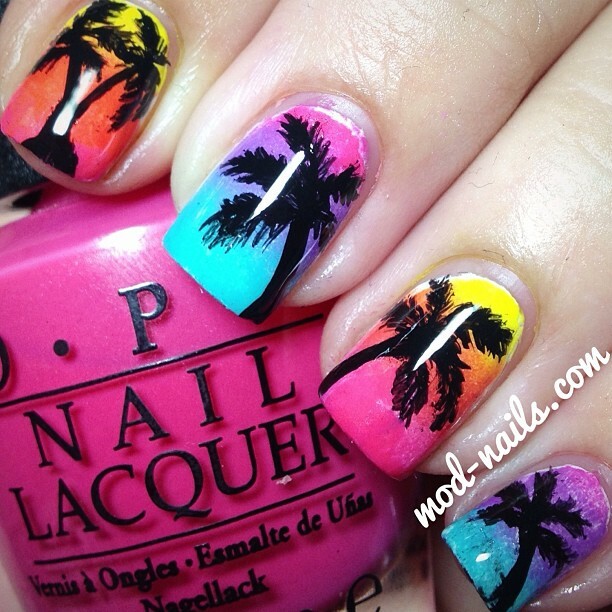 Let me know if you have any other nail ideas! My pointer nail broke (I hate maintaining square shaped nails I really miss my almond shape) so I had to chop my nails down again. And I'm also really glad the weather hasn't gotten hot it's still a sunny 75 degrees here in Orange County, I love Southern California. 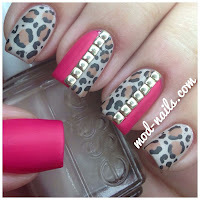 I'll create a pictorial for this look soon! p.s. the mess I made was ridiculous. Lately I've been obsessed with purple. To purchase the pearls click here. I also used a wax pencil to pick up the pearls and rhinestones. It works like magic. It looks like a regular wooden pencil but it has wax instead of lead and it's very simple to pick up rhinestones, pearls, studs, etc. Don't forget to use my code GYL91 for 10% off! 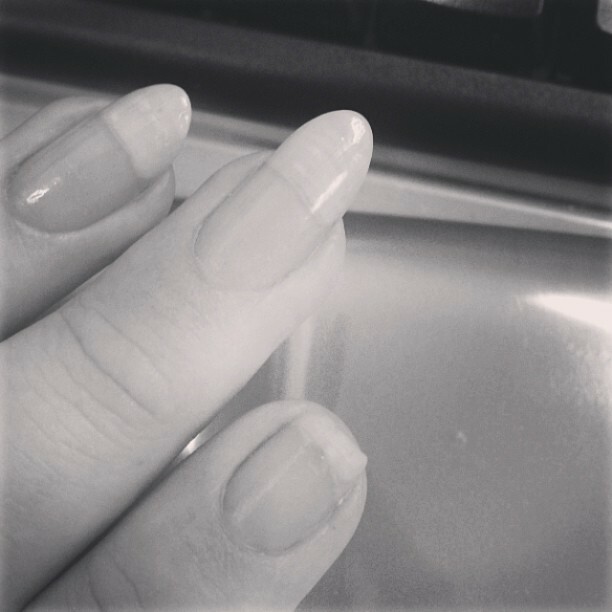 OPI's "Can't Find My Czechbook"
So all day at work I had to look at my uneven finger nails. So once I got home I cut and file them and decided to go with a summer look to welcome back my square shape. OPI's "Kiss Me on the Tulips"
I don't even like yellow but this yellow is GORGEOUS. And it has a slight shimmer that's barely visible but it's so pretty. And I'm almost out of Kiss Me on the Tulips I definitely need to restock on my favorite pink. With all the beauty monthly bags (Julep maven, birch box, ipsy glam bag, little black bag, etc) it's nice to finally see a nail art grab bag!! 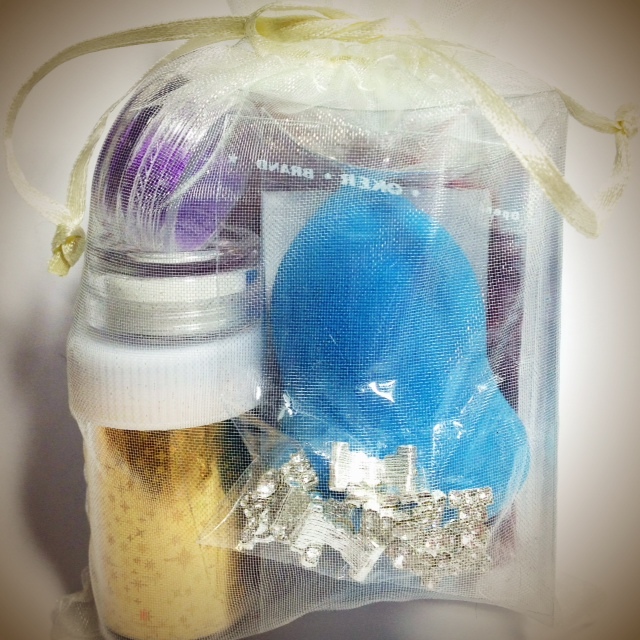 Winstonia Store will launch their June Grab Bag tomorrow!! Bonus item: Beauty blender! I've always wanted one and so happy it was in my grab bag. *All items come in random colors. Winstonia will ship the orders within 24 to 48 hours and most orders arrive within 3 to 7 business days. Coupon codes do not apply on Grab Bag. Overall this has a retail value of $25 so for $10 it's a steal! I love this because it's not a subscription so you get to choose whether or not you want to receive each month's grab bag. The foil is also a lot better quality than the foil I get from dollarnailart.com and the striping tape worked really well compared to the ones on ebay that I've gotten. Limited quantity and available until end of June so make sure to grab yours before it's gone! I LOVE Zoya polishes, their formula is always so amazing and the colors are always so gorgeous. 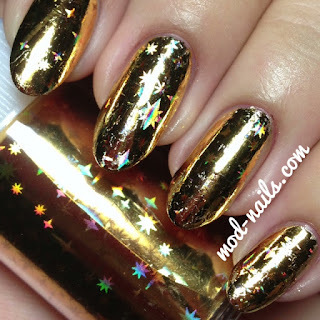 Silver is Deborah Lippmann's "Stardust"
Click here to purchase these studs. And be sure to use my code GYL91 for 10% anything! Products in this post were provided for review. I decided to go with a girly yet edgy look. Purple is my favorite color and I love the color black. This is probably one of my favorites even though it's really simple. I will always love studs. 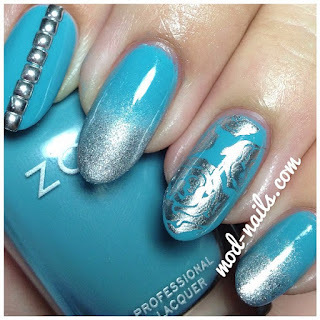 One con of dollarnailart.com is you have to spend a minimum of $25. So if you don't want to do that you can go to www.bornprettystore.com where they have TONS of nail art accessories including the bow I used. They have studs, chains, pearls, beads, charms, and so much more. They also offer free world wide shipping which is nice because dollarnailart.com makes you spend $25 before shipping. I've also added a new tutorial on my YouTube channel! Let me know if you have any requests I'm always looking for inspiration on a new nail look! 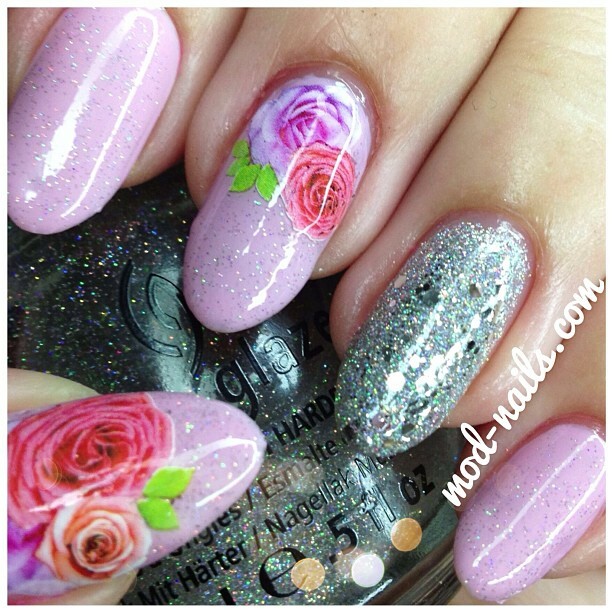 Today's look is a girly flowery look using water decals, pink, and lots of glitter! The water decals are really easy to use. You paint your nail and add top coat, once it's dry wet your nail a little then cut out the flower you want (it comes in a big sheet), using tweezers dip it in water for 15 seconds, slide the decal off with your finger, place it on your nail, add top coat, and you're finished! 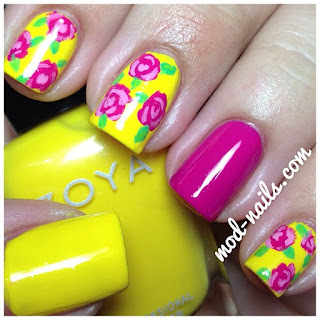 To buy these nail art water decals click here (Item #9) and use my code GYL91 at checkout for 10% off ;) Plus they offer free worldwide shipping! 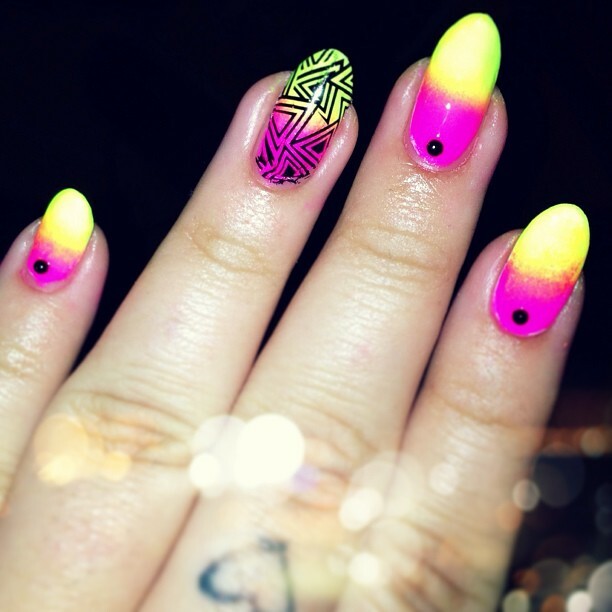 I plan to do neon nails a few times this next month since apparently neon is the new black this summer. 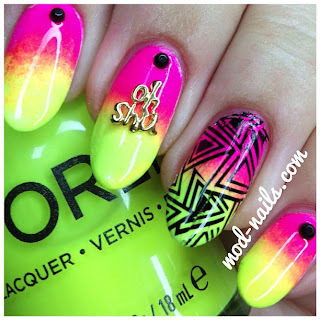 No but really I've always loved neon and bright crazy colors. The water decal was so easy to use. I painted my nail, added top coat, let it dry, wet my nail a little, cut out the decal, dipped it in water, slide the design off and placed it on top of my nail. I then removed the excess with a q-tip dipped in acetone and added top coat. 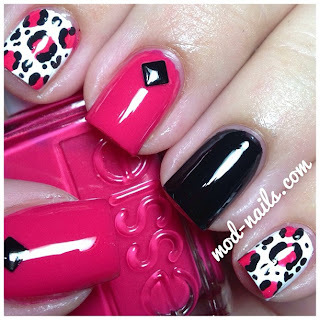 To purchase this nail art decal click here! The Item ID is 5631. ALSO!!!!!! 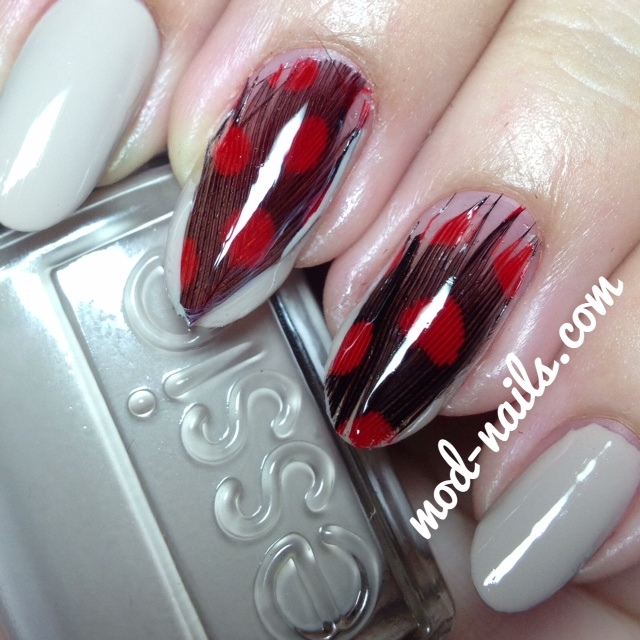 I was so excited, someone let me know that Kim Kardashian had posted my houndstooth mani on her website and it's true! She didn't give me credit but it's still on there! Products in this post have been provided for review. 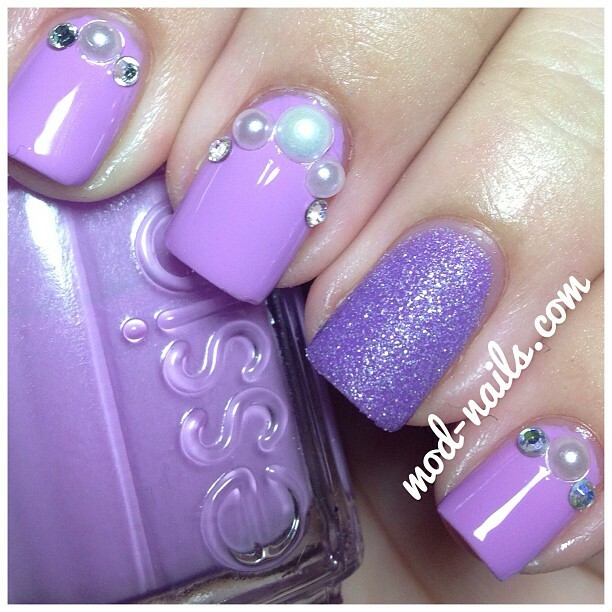 - Essie's "In the Cab-ana"
- Essie's "Haute as Hello"
Click here to purchase them! And use my code GYL91 to get 10% off, they offer free worldwide shipping. If you try this out be sure to hashtag your photo on instagram with #modnails (my instagram is @modnails) or email me your photo! I always love seeing your recreations.